Aristotle said “Friendship is a single soul dwelling in two bodies.” Our friends play an important part in our lives, they are there for us when we are sad, they celebrate the biggest moments in our lives and they are there for us when we need them. Today is International Day of Friendship; a day where we celebrate the power friendship can have to inspire peace and build bridges between communities. To mark the day we are featuring just some of the dogs and cats who could become the new best friend in your life. Handsome, intelligent and active, four year-old Labrador cross Ralph is a large bundle of energy looking for his very own best friend. 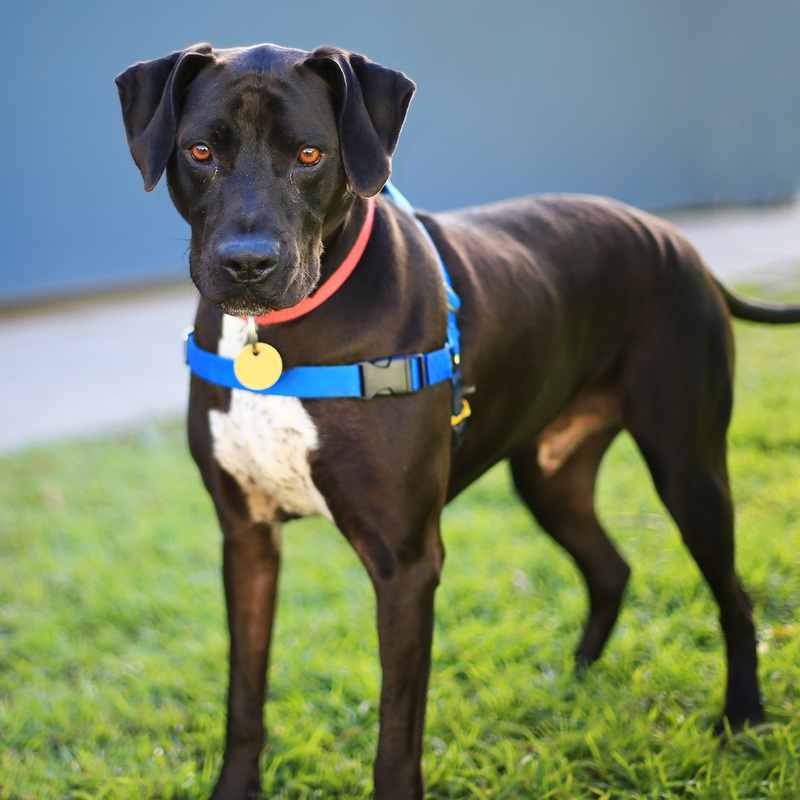 A big sweetheart with a lot of love to give; this friendly canine, affectionately known as Ralphy, has come a long way from when he first arrived at the Home. When he came to The Lost Dogs’ Home in March, Ralph was reserved and unsure of interacting with other dogs. However, after spending some time with our behaviour program, Ralph has become a confident, friendly and happy boy. While Ralph is happy to become your best friend, he does have trouble forming close friendships with cats and other small animals. He is best suited to a home where he can spend his days with another dog of a similar size or a home where he can be the main pooch in your life. 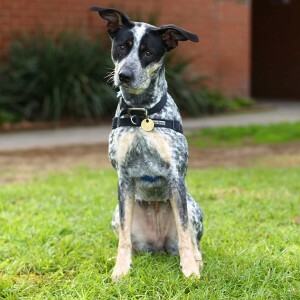 Ralphy’s new best mate will need to be committed to taking the time to put him through positive, reward based training to make sure this gorgeous pooch remains happy and healthy. Every single dog and cat that comes into the Home has their own unique personality. Taking the time to look around the shelter, it’s clear that some dogs are a little more reserved than their shelter companions. One year-old heeler cross Sally is what you would expect from a working dog – highly intelligent and active, but she can also be a little shy. The perfect combination of brains and beauty, this shy, young girl is now looking for a new best friend who is willing to be there for her throughout all the important moments in life. Coming into the Home in April, Sally showed signs of anxiety around people, traffic and other dogs. 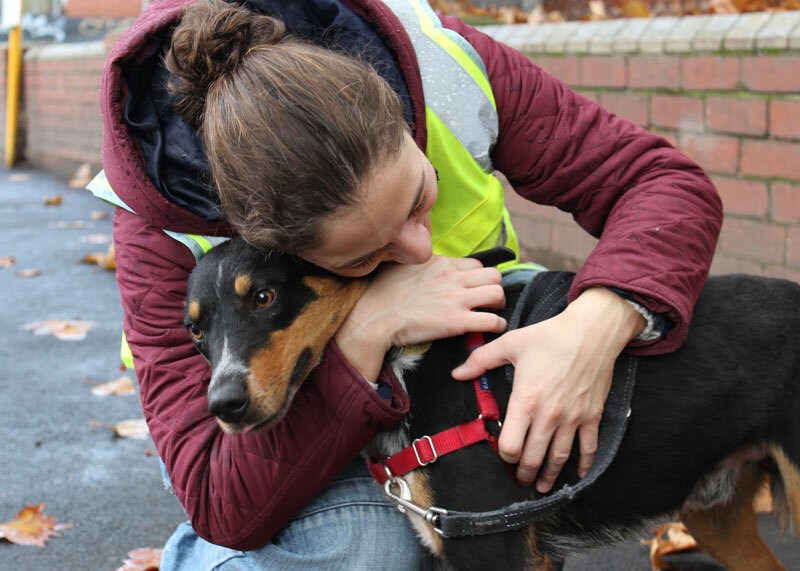 However, after spending some time with the behaviour program, Sally is now comfortable around people and can walk past other dogs with the support of her friends. Beautiful Sally is looking for a new best mate who has lived with dogs before and is happy for her to be the main canine in their life. In return, Sally’s new companion will receive love, loyalty and friendship for a lifetime. Cats and dogs at the Home can quickly form strong friendships and bonds with other cats or dogs. For best friends Bella and Beauty, while they had met each other before, it wasn’t until they arrived at the Home together that they were able to cement their close friendship. Before coming into the Home, three year-old Bella lived with a dog and another cat. However, despite having companions at home, Bella was often seen wandering outside in the company of another cat, believed to be three year-old Beauty. When they arrived at the Home together in June it was clear that these affectionate best friends needed to stay together. With their sweet, affectionate natures and a love of full body pats, Bella and Beauty would thrive in a new, quiet home where they could spend their days with each other getting pats and lounging in the sun. 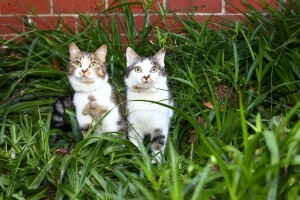 Despite not living together in the past, these friendly felines would suit an owner who is willing to open their heart to not one, but to two loving felines. If you are interested in adopting our best friends or any of the dogs and cats available for adoption come down to our North Melbourne Shelter at 2 Gracie Street, North Melbourne and meet them in the fur.